Music has a way of opening up joy in your life and I eagerly await hearing my girls practice each day. Miss L, age 12, and Miss J, age 9, are both playing the violin and have been working with Practice Monkeys. The Family Subscription to Live Violin Classes is for live, online classes but there are many aspects to the program that make it exceptional. As you read through this, realize that this is a family subscription – one subscription for all students in the family! Practice Monkeys fills a niche that I have seen in the home education world but also in the world of music education in general. Not everyone has access to musical education and to find string education is even harder for most people. Practice Monkeys is a series of leveled classes that are taught live, with plenty of recorded videos to help with practice and instruction when a live class has to be missed. There are currently 9 levels of violin on the Practice Monkeys site. If you are not a complete beginner, be sure to connect with Mrs. Van Kleek to set you up in the right level. Each level meets for about 15 minutes, four days a week. The time for each level is different so it is necessary to find your level to know the class time. These live classes form the core of instruction and without them, learning violin is extremely difficult. Live classes allow for correction and training that just cannot be done with recordings alone. When you attend a live class, Mrs. Van Kleeck can look at your hand position, your bow position, and help you make those necessary corrections. She can also listen to the sound and advise what might need to be done. For example, without the live class participation, Mrs Van Kleeck cannot advise a student when their bow needs more rosin or their finger placement is just a smidge off. Tuning is another place where attending a live, online class will benefit. When the tuning is off as a beginner, you don’t often hear it or recognize it. These are the benefits that Practice Monkey gives a student. Live teacher input allows for immediate correction and attention to detail that makes the difference between getting frustrated and giving up and making noticeable progress and learning to play. Along with the live classes, a subscription to Practice Monkeys gets you access to the Treehouse for your placement level. The Treehouse is where you find practice videos, tuning help, instrument help, printable sheets for the skills in your level, parent tips, practice sheets, and videos for the performance pieces required to advance. It is packed full! As with all quality instruction, there are times for assessment and a checklist to help the student advance. The Treehouse has a printable checklist for the parent so that they can do a pre-assessment to know when to schedule a live assessment with Mrs. Van Kleeck. The checklist is clear and the expectations are laid out nicely so the student knows exactly what needs to be done. Once the student can go through the checklist with the parent, it is time to schedule that live assessment. In the live assessment, Mrs. Van Kleeck meets one-on-one with the student outside of the regular class time to go through the checklist and determine if the student is ready for the next level. Each week, an email of reminders and helpful hints is sent out. This is a great way to not forget to plan your practice time. One of the reminders is to print out the student’s practice sheet for the week. These sheets help with remembering each aspect of the practice time and to also progress in a consistent manner with the classes, skills, and pieces being learned. There are always helpful tidbits in the email, as well as reminders about any schedule changes for holidays and such. These Suzuki-based classes are just what the home school community has been looking for. They offer something that is definitely needed and Mrs. Van Kleeck does a fabulous job of teaching her students. As stated earlier, the classes meet four days per week because music students need this much practice. The classes go from absolute beginnner to the end of Suzuki Book IV. There are also now piano classes being offered that at this point go from beginner to the end of Suzuki Book One. Interested? At this point, lots of questions may be running through your mind. Hop over to the FAQ page for Practice Monkeys and read up on what is there. If you still have questions or concerns, a form is available on that page to send Mrs. Van Kleeck a message. There are also samples of the recorded classes on the page. If the sample is not quite enough, you can request to attend a single class for free to see how it all works. Do note – these classes are live and online so there are some things you will need to acquire for the class. Obviously, an instrument is needed. Sizing and rental information is available in the FAQ as well as more detailed information on the FAQ page. You will need a paid subscription to Practice Monkeys. You will need a computer with a microphone and camera that work, as well as an internet connection. This will get you up and running with Practice Monkeys. I know I speak positively about a lot of things. I wish I could just continue gushing about this program, though. Truly, I think it is wonderful and such a needed program. I highly encourage anyone looking for string instruction, or piano instruction (though I have not seen this part of the program), to check out Practice Monkeys. 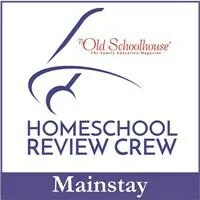 There is currently a special going on for readers of this blog and the Homeschool Review Crew. A special price is available for those who sign-up to become part of the Practice Monkeys community before February 1, 2019. The special price will be yours for the lifetime of your subscription. Visit the special page to read more and sign up. There were several other Homeschool Review Crew families who also reviewed Practice Monkeys. Be sure to click on the image below to read their reviews. As high school approaches (wait! it is here! ), additional thoughts crowd my mind about classes that would be beneficial to my daughter to experience. Public speaking and critical and logical thinking are a couple of those classes. Memoria Press has a Traditional Logic course that we have been working with, using Traditional Logic I Complete Set, and I can already see her reasoning skills getting stronger, coming up in discussions at times. Memoria Press is a classical Christian education company that publishes high quality materials. The company was founded in 1994. They are a family run company. The DVD is a set of two discs. They are instructional discs, giving the lecture portion of the lesson. The discs follow the same topic structure as the student text and workbook. The presenter is Martin Cothran and he very clearly walks the students through the lesson concepts and examples. The lessons contain no fluff; they are straightforward and high level thinking. The instructor refers to the topics in the text but it is not necessary to try to follow along with the text. We did find that the page numbers he referred to did not match with our workbook but it was very easy to locate the area he was talking about. The student text is a softback book of approximately 100 pages. There are 13 lessons plus and introduction. Each lesson is less than 10 pages, averaging about 5. These lessons are well written and easy to read. Sometimes the concepts are a bit difficult to grasp but reading over it a second time and/or using the video definitely helps in the understanding. The concepts are actually described pretty clearly and concisely. The back of the text contains a glossary and a list of important people to know. The student workbook is a softback book that is about 8 1/2 x 11 inches. It is 92 pages in length and is a consumable product. Each student will need their own book. The book is intended to be the practice and application of the lesson information from the DVD and the text. There are exercises for four days in each lesson. The student will likely need to refer to the text to work some of the exercises. The Quizzes & Tests book contains a quiz for each chapter and a final exam. These are not simple answer questions; they require thought and writing from the student to truly explore their understanding of the lesson information. The Teacher Key is the answers for the student workbook and for the quizzes and tests. Each page is an exact replication of the student workbook, the quiz, or the test. It has the correct answers typed into the answer space for that page. This makes it very easy to be certain you are grading the correct question. Having the answer key is really helpful in guiding the students toward the correct answers when they are struggling with the workbook. On the first day of a lesson, Miss E would watch the video. Then she would read the text. The rest of the week, she would do one set of lesson exercises per day, refreshing the topic through the text as needed. We did not use the weekly lesson quizzes, as we spent quite a bit of time discussing the information as she went along so I knew how she was doing with it. I do plan to administer the final exam at the end of the course. The first day of a lesson always took about 30 minutes. The other days seldom took that long, as the information was pretty easy for her to understand. Miss E has actually enjoyed this course more than I thought she would. She has enjoyed the simplicity of the thinking while still noticing that she is getting better at reasoning some things out. This is not a course with a skill that will highly impact daily life but as she is hoping to participate in debate next year, this is a thinking skill that will be beneficial to her. Miss E has said a couple of times how much she has enjoyed thinking through the processes and learning to understand some of the words used in this course. I have been very pleased with her progress and her understanding of this style of logic. I will not pretend to understand it easily but I do know that understanding different ways of thinking logically is helpful in the grand scheme of things. This program is easy to use, easy to understand, and has been a pleasant experience. I believe that if we can fit it in, she will be tackling Logic II following this. Head over to the Homeschool Review Crew to read more reviews on Traditional Logic or any of the other products I listed above that are being used by the Crew families on this Crew run. Just click below.